With YouTube becoming more and more popular, it's not surprising that many music videos are officially released on YouTube. For example, like the ones by famous artists such as Lady Gaga, Jeniffer Lopez, Justin Bieber and etc. In short, YouTube is a great place for searching music (i.e. the latest ones or by genre), especially when you can easily create a YouTube's playlist. However, you may be restricted to only online enjoyment. Don't worry, this article will guide you through how to convert the YouTube's playlist to MP3 files with two recommended programs - YouTube playlist to MP3 converter and YouTube playlist to MP3 recorder. It enables you to download videos from various sites including YouTube. What's more, you can download YouTube playlists, channels with just a click. There are two easy ways to download YouTube videos. One is through a Download button in the browser (Firefox, IE or Sarafi) and the other is through copying and pasting video URL via the software winodw. Using this program to convert videos to many other formats is as easy as pie. The formats are optional, including MP3, AVI, MP4 and more. You can directly play the downloaded and converted videos and audios in the library. Choose the right version of the program to install on your computer. Launch it to get ready. Go to YouTube to find the playlist you want to download. Then, copy the URL of the playlist and click the + Paste URL button at the upper left corner of the YouTube playlist downloader. Then the program will start to anaylize the playlist and show all the videos in the playlist, you can choose part of them or all, and save the format to be audio format, then click Download to get all the videos downloaded separately. Or click the playlist to play and a Download button will appear on the right if you open YouTube with one of the browsers Firefox, IE or Safari. 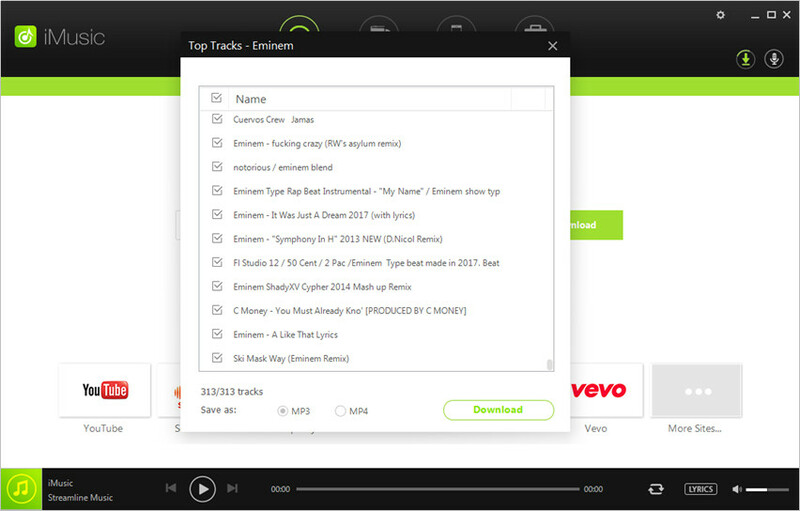 Click the button and select Playlist in the drop-down menu. 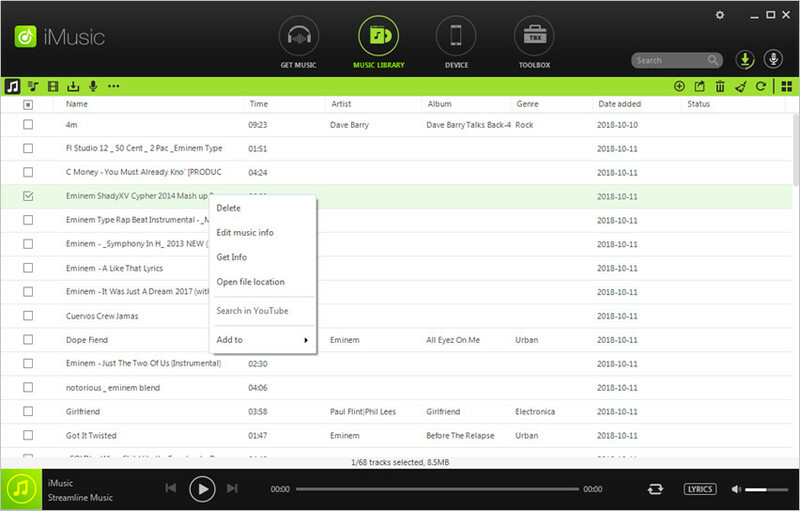 iMusic is another program that also enables you to convert YouTube playlists with simple clicks. iMusic is an all-in-one video solution for converting, editing and downloading videos, and it provides you a bunch of helpful features. In this part, we're going to introduce how to convert YouTube playlists with the help of iMusic. Convert YouTube playlist with simple clicks. Edit videos with cropping, trimming and other helpful features. 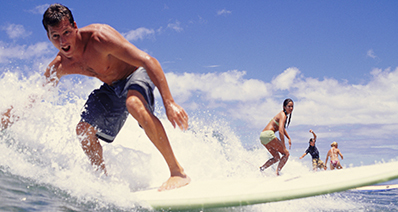 Download videos from more than 3,000 video sharing sites. 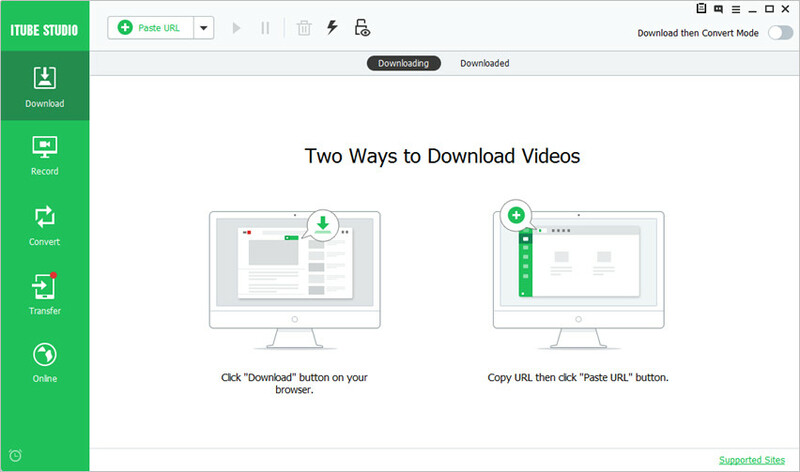 Convert videos with 30x faster speed. Step 1 Download and install iMusic on your computer, then start it. After that, select the Download section at the top middle of the main interface. Step 2 Now go to YouTube, and find the playlist you want to download, then copy the video URL in the address bar. Step 3 Click the Paste URL button at the upper left corner of the main interface, and the program will ask you whether you want to download the entire playlist or the single video. 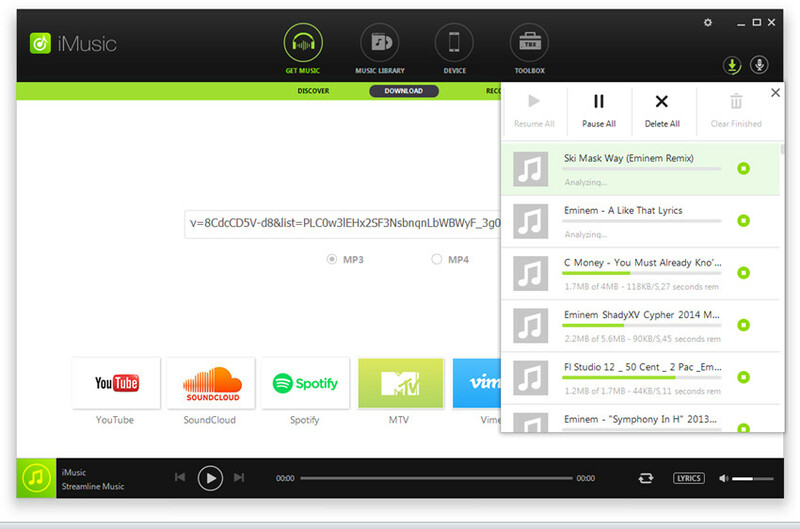 Step 4 Select Playlist, and the program will analyze the URL and display you the dialog. Seeclt Save As Audio, and click Download to start converting YouTube playlist. Step 5 When the conversion finishes, you can get the converted video in the Finished tab. 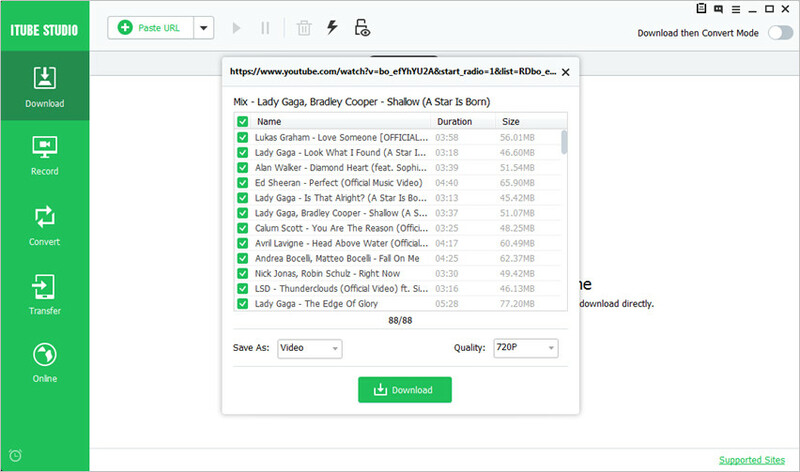 Now you can right-click the playlist and choose Open File Location to locate the converted videos in your computer.